Open your study drawer and take a peek inside. How many pens with company logos do you spot in there? How many keychains? Now, jog your memory and try to recall which tradeshow you were fortunate enough to receive them in. Anything coming to mind? We are going to take a wild guess and say, no. Generic trade show giveaways are the most magnificent anti-climax you can subject your attendees to. Despite being aware of this fact, the sheer number of brands still opting for cheap and done-to-death promotional gifts is frankly, off-putting. When it is time for you to figure out this aspect of your event participation, the one thing you always need to remember is that you are not alone on that floor. There are at least a hundred other companies striving for the attention of the same people as you, and it is entirely possible that a majority of them are your direct competitors. Most brands already know that, as is evident from the amount of effort they put into customizing their trade show booth so that it stands out and increases their visibility. And yet, these same brands resort to prehistoric, half-hearted gestures when giving the audience something to remember them by after the show is over. Ironic, isn’t it? A good tradeshow giveaway is a gift that keeps on giving. You don’t just want to gain entry inside the attendee’s house, you want to make a snug little nest for yourself in their minds. We get that there are occasions when you’ll be operating on a budget as tight as a drum. 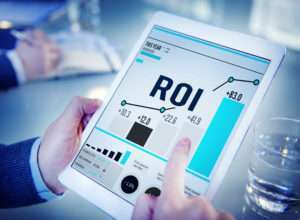 However, there are certain parts of your trade show planning that are definitely worth investing in due to the kind of ROI they potentially offer. Promotional giveaways are one of them. By opting for a gift that can only be described as “cheap”, you are sending the message that you are not too keen on investing in your own brand. If your budget is really stretched thin, maybe you can ease up on some booth graphics and re-allocate those funds here. It will pay off. When attempting to establish a lifelong connection with potential customers, the last thing you want to do is go with the flow and emulate what others are doing. The whole point of participating in a trade show is to distinguish your brand from the rest of them, isn’t it? Here’s how you go about doing that. Make a list of every cliché promotional item you can think of – pens, magnets, water bottles, coasters, notepads, wallets, tape measure business cards, etc. – and put them in the ‘Don’t Even Think About It’ folder. Get all the unfruitful ideas out of your system and start over. This time, place yourself in the shoes of the customer and imagine what they might actually find useful. On the other side of the ‘budget giveaways’ coin, there are some brands that tend to go overboard and spend a ridiculous amount of money on items such as iPads and smart tablets. While these gifts will unequivocally find their way into people’s personal cabinets, there is little to no guarantee that the giftees will associate the product with you a couple of months down the line. In fact, you don’t even know if the prospects will turn into customers. Because as remarkable a gift as an iPad is, it doesn’t have that personal touch that attendees are looking for at a trade show. Therefore, instead of standing out, you might just become another face in the crowd, thus rendering all your efforts and expenditures pointless. If you perceive the act of giving something valuable away to the audience at the end of a trade show as an obligation, people will see right through it. And then they will consider it an obligation to invest in your brand after they have received your so-called gift. By taking a genuine interest in adding value to your customers’ lives and giving them something they will actually use or enjoy, you are automatically presenting yourself as the kind of company that cares about its user base. So, let no more junk be offered with your brand name on it. Of course, your target audience is hardly your enemy in this context, but you get the drift. Thoroughly researching them, their likes and dislikes, their needs and desires is absolutely essential to ensuring that you hit the nail on the head. Along with getting to know your prospective buyers, you should also study your current customers and chalk down ideas for giveaways tailored around their preferences. You can do this by mildly (but not obsessively) stalking their Facebook, Instagram, and LinkedIn profiles and recording the data on a spreadsheet. If you find any patterns in your information, that’s your key to their mind. Quantity is easy to come by, but quality is what sets a successful exhibitor apart from the rest of them. Instead of spending less money on more gifts, it will be smarter to invest more on fewer, more personalized gifts. This way, you will end up utilizing the same amount essentially, but the difference will be in the kind of response you get from the recipients. They’re likely to remember your thoughtfulness and associate it with your brand from that moment onwards, which brings us to our next point. The intention behind giving a tradeshow gift is to imprint your brand in the memory of the receiver. Can you think of an item that naturally complements your brand and its values? Something that integrates your marketing message into its functionality? It could be as simple as a high-quality tote bag or as elaborate as a handheld gadget. Whatever you believe establishes a bond between your company and the customers. For instance, if you’re offering a product or service that encourages stress-free living, maybe you could opt for a stress ball with a design that is unique to you as a gift. Just make sure looking at it will take people back to the day of the trade show. It doesn’t hurt to be kind-hearted and generous. However, mindless spending is also something that should be avoided at all costs, especially for companies exhibiting on a budget. By striking the right balance and showering your audience with giveaways that boost your brand image without spending too much or too little, you can build a long-lasting and lucrative relationship with customers. Spend a considerable amount of time thinking about the perfect item, and don’t forget to make use of the various digital tools that can assist you in creating personalized gifts. When you understand your target buyer and know what they consider valuable, you will be able to adapt your giveaway to that end. You might be surprised to find that it isn’t just materialistic stuffs that make excellent promotional gifts, but also intangible items like information, sound advice, and services that make life easier. Think about whether you want people to get instant gratification or long-term benefits. If it’s the former, maybe you could introduce your lead to someone with whom you see them having a fruitful business relationship. For the latter, you could offer them passes to the next tradeshow you are going to be at. This shows foresight and encourages them to visit you again. If you are exhibiting at a trade show, you must have brainstormed and zeroed in on a theme for your trade show booth. By considering aspects like the display design, your marketing tactics, and your event goals, you can come up with a promotional gift that ties all these factors together into a singular item. In other words, all the facets of your exhibiting strategy should work in tandem and complement each other perfectly if you want to make yourself so unforgettable that prospects reach out to you of their own volition after the event is over. Deciding on the right tradeshow giveaway can be arduous and take up a lot of time. However, if you manage to get it right, you will reap unprecedented rewards in the form of maximized ROI and increased brand recall – the two most important ways of converting prospects into customers.